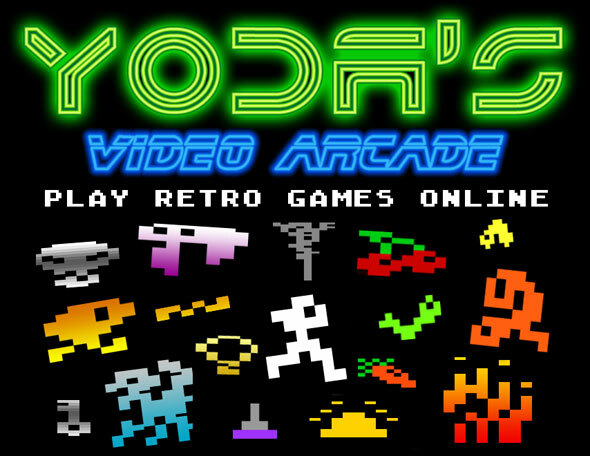 Train your brain and skills with fun and challenging free download retro games for Mac and Windows! New: Mystic Worldz - Secret of the Sock Addictive tile-matching-adventure. You find a letter from your long lost uncle. Use secret messages hidden in pictures to follow your uncle's path. Visit spooky places and reveal all the clues to find the time-portal! Discover 100 pictures with hidden clues. Kill them all! Free game download. Game created by Stephen Johnson and Kemal Zhang. This tile-matching-game is different from what you already know. And it's addictive - it will keep you playing for weeks! Have fun and train your brain at the same time. And check out the sockquest-tiles to improve your household-skills. A boardgame from Germany for your Mac. Dig down that old mine with up to four players. Find the precious gold-nuggets and get rich. Buy tools and dynamite to go deeper and deeper. A relaxing strategy-game with endless variations for unlimited fun. Four fun and addicting retro-style maze-games in one pack! Choose the retro-style you like best: 2-bit, 4-bit or 8-bit. and challenging to play. Don't let the look fool you. A creepy game of skills and puzzle. Enter the old castle and explore the rooms in total darkness. Get the treasures and escape before it's too late. Shoot the ghosts in fast-paced bonus-games. Eat-and-grow-longer game with a new twist. This snake-game is a bit different. set bombs and collect keys to open new pathways. But don't forget to munch those yummy apples. Four old-school vector-games with a new twist, all in one pack. shoot nasty little aliens and explore creepy dungeons. Groovy techno-soundtrack will keep you foot-tapping. The Gnugs are cuddly little aliens that are stranded on earth. Help them to get back to their spaceship. Guide them through different hazardous landscapes. Travel through exotic places in search for the lost Gnugs. you can get one of the Xtra-Games below for free as a special bonus! Collect crazy floating energy-pods in space. Lost in space you try to get those energy-pods together. Race in space but don't let the wrong pods touch each other. A fun and crazy game of skill. One false movement and chaos is up! Frustrating but funny seesaw bouncing game. to collect all the floating goodies in mid-air. A fun and annoying game with three holiday-themes. Easy to use musical keyboard. children can enjoy the fun of playing music. Different instruments provide fun even for grown-ups. Challenging trip into the past. Travel back in time and play your very first video-game again. Enjoy the memory of different versions of that classic game from the past. Play against another human or the almighty computer AI. Can you beat him (yes, it's possible)?